Improving your smile may be easier than you think, thanks to veneers, dental implants and Invisalign. Dr. Adel Mansour in Hunters Creek, FL, explains how these services can help you achieve the smile of your dreams. Veneers, thin, porcelains shells that cover the fronts of teeth, are ideal for hiding small flaws that mar your smile. The shells are available in a variety of shades, making it easy to match your tooth color or even whiten your teeth. Veneers are an excellent choice if you have a small chip, crack or other imperfection on the front of a tooth or want to hide a tooth that has become discolored for some reason. 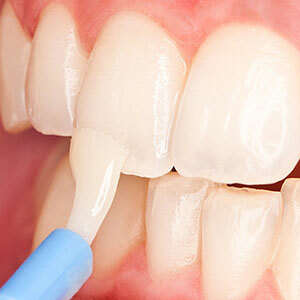 Veneers can lengthen short teeth and close the gaps between teeth. Like it or not, people make judgments based on the condition of your teeth. When you have missing teeth, you may find yourself reluctant to attend the social and business events you used to enjoy. Missing teeth also make biting into foods and chewing them thoroughly difficult. If you've lost several teeth or all of your teeth, it might even be harder to speak clearly. Dental implants offer an innovative way to build a new tooth from the root up. Implants consist of small titanium posts, that replace your roots. The posts gradually fuse to your jawbone and are used to support crowns. 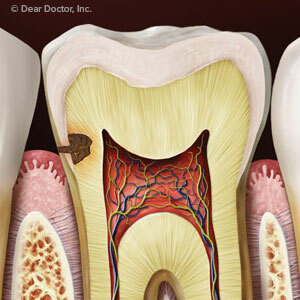 Once your new crown is in place, no one will ever be able to tell that you lost a tooth. Implants can replace any number of missing teeth. If you've lost all of your teeth, you can still benefit from this innovative tooth restoration option. Both fixed and removable implant-supported dentures can improve your smile and your ability to chew. Straighter teeth used to require a significant sacrifice on your part. Until recently, there was no way to improve your smile without wearing metal braces for up to two years or more. Invisalign doesn't rely on wires or brackets but straightens your teeth with a series of clear aligner trays. You'll remove the trays to eat, brush your teeth and play sports. In order to ensure that you're making adequate progress, you'll visit Dr. Mansour in Hunters Creek every six to eight weeks during your treatment. Could you benefit from any these dental services? Call Hunters Creek, FL, dentist, Dr. Mansour, at (407) 483-9990 to schedule your appointment.